Sky Limit is a high-performance circuit that combines a high ropes course, zip lines, canyoning, rappel, Tarzan swing, bridges and other adventure defiant activities in the heart of the rainforest. Sky Limit begins with an ascent in our aerial tram Sky Tram up the mountain to the highest point, near the Arenal Volcano, where you will be able to admire the local forest and amazing views on an exclusive viewpoint. 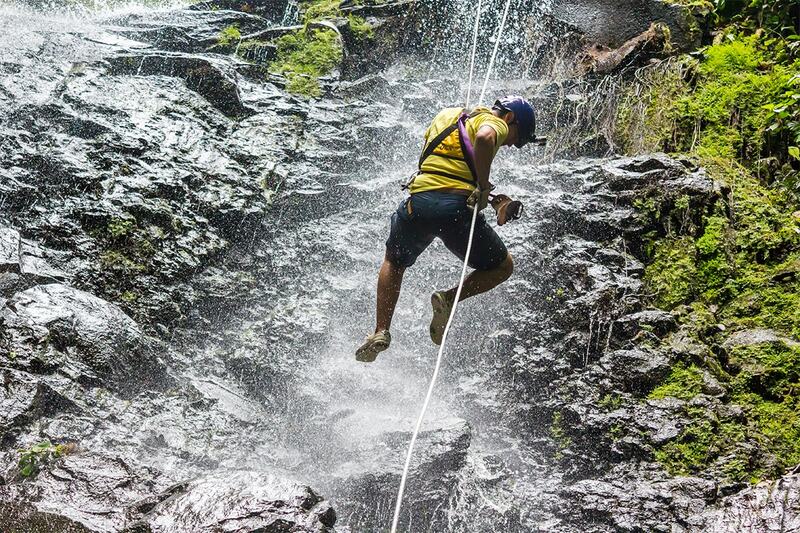 After that you will then start an adventure circuit – that can also serve for competition – consisting of twin zip lines, and other defiant challenges as it is walking a tightrope, descending a ladder hanging between tree platforms, hands-free descent from a tree, swing on a vine-like rope like tarzan, rappel on a waterfall, cross different Tibetan style bridges, and fly on a zipline superman style. All these activities you will enjoy and in which you will need all your skills and instincts.